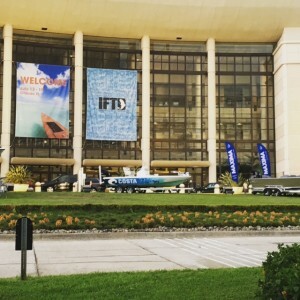 Each year in Orlando the entire fishing industry gets together for their trade show, ICAST/IFTD. It’s the place where everyone who makes a living off the tug on the end of a hook gathers to see what is new, take orders from dealers and learn about trends in the industry, including conservation issues. With so many industry professionals present the show is a great place to get the word out about major conservation issues, like the recovery of wild steelhead. This year, the mood of steelhead as an apex game fish resonated through the entire event. Images of chrome bright steelhead were featured in backdrops of many companies booths. 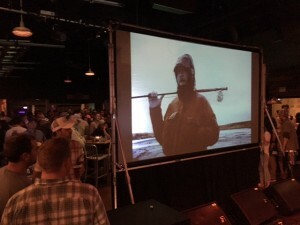 Steelhead comfortably held their own in film events hosted by The Drake and by Yeti Coolers. 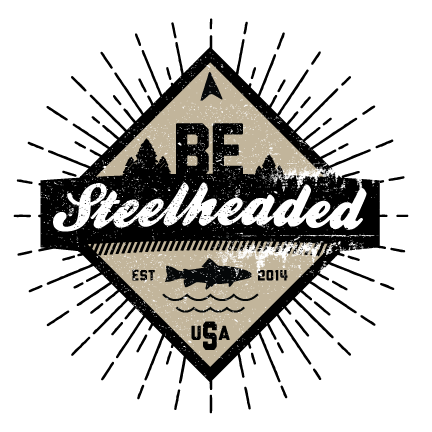 Throughout the industry steelhead are seen as a fish you will never forget whether you make top water bass frogs or $3000 spey reels. People would stop by from Nebraska to Georgia, telling stories from when they fished river X in Oregon or Washington. During the show, we met with more than 50 companies about the need for a balanced approach to steelhead recovery. We discussed our Credo, habitat work, and policy changes – like our effort to have a portfolio of rivers where both wild and hatchery fish can provide recovery and opportunity. We discussed our efforts to build a strong base of supporters to let decision makers know the current reality – a reality where wild steelhead are listed as threatened or endangered in 70 percent of their native range – is simply not acceptable. Last, we emphasized our core belief that this is not the final chapter for steelhead – that we can change the direction of that tide. With the help of professionals on the ground, we now have more than 70 fishing businesses supporting this approach wild steelhead recovery. We’re looking forward to working together toward meaningful change. Thank you AFFTA for the booth and thank you to everyone who bought us a beer, (Costa, MFC, Yeti, the Drake, Thomas and Thomas, Blackstrap and others) and Ryan at Finn for having PNW coffee at his booth in the morning. Special thanks to Sage for helping us move the ball as our first and strongest supporter. 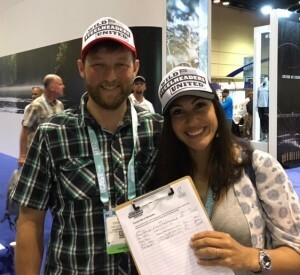 Thank you to the more than 70 companies and guides who have signed on in support of this great effort to recover wild steelhead to fishable levels.